It’s officially spring — yay! 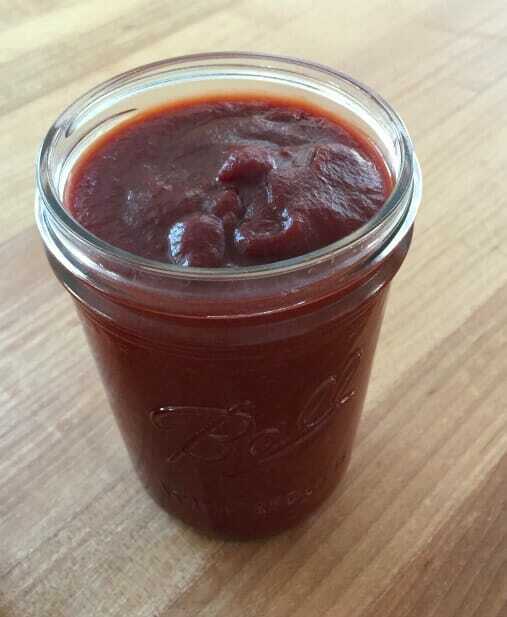 Although West Michigan is still pretty cold (with a few piles of snow left on the ground), I thought a recipe for homemade BBQ sauce would be the perfect way to kick off spring here on the blog! 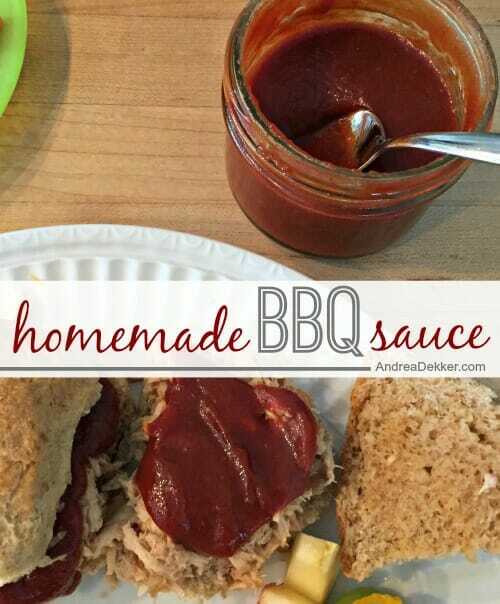 If you plan to host or attend any backyard BBQ parties this spring and summer, you’ll LOVE this yummy BBQ sauce as the perfect condiment to serve with all your favorite grilled, smoked, and slow-cooked meats! It’s ridiculously simple, it can be frozen for later, and it can easily be doubled or tripled, depending on how many people you need to serve! Combine ALL ingredients in a medium saucepan and bring to a low boil. Tilt lid (to allow steam to escape) and simmer on low for 15 minutes, or until thickened. Eat warm or cold… refrigerate or freeze leftovers for later. SEE… isn’t that crazy simple! 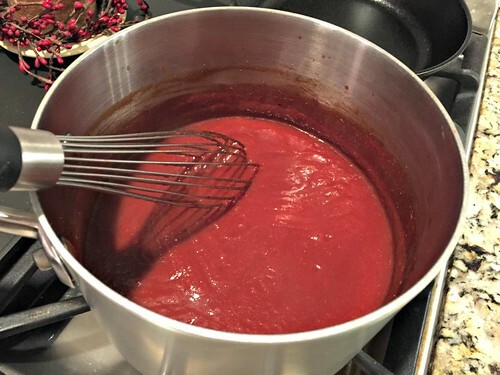 It takes no kitchen skills or knowledge to make this sauce — just a handful of ingredients, and you’ll have delicious homemade BBQ sauce for your next several cookouts! We always have a container of this in our fridge — and honestly, I’d say it could easily last for a couple months in a sealed container in your refrigerator. Feel free to play with the flavor combinations, adding or subtracting various ingredients to get slightly different outcomes. 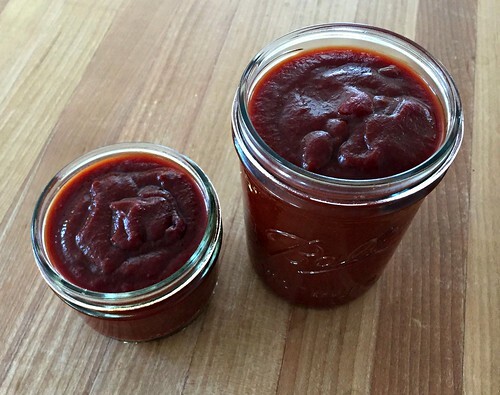 You might never have to buy store bought BBQ sauce again! 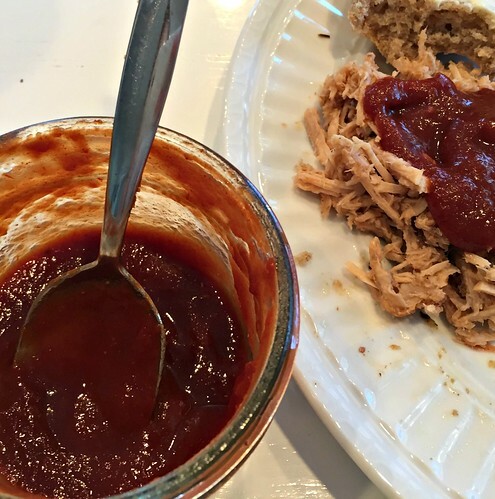 What are your favorite BBQ foods? I am going to host some back yard parties this summer — will definitely try this recipe. 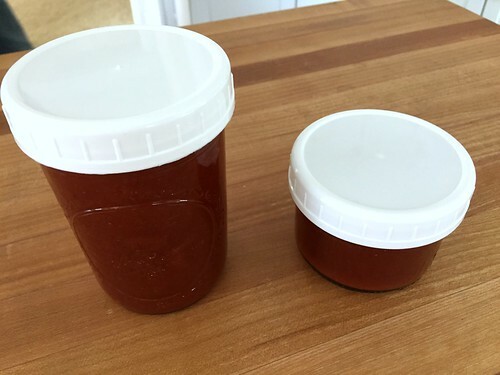 Fan of barbeque sauce with my meals and I am sure adding an extra sugar ingredient will boost its taste. We use it so much that if there is barbecue sauce in the refrigerator in a non traditional container, my mil will ask, is that Stan’s? That always makes me laugh as we don’t know Stan! We don’t eat ribs much, but I love it on chicken, burgers, pulled pork, etc. thanks Deb! I’ll check it out! Looks delicious, Andrea. We still haven’t fired up the grill yet either. In February, we had floods in eastern Tennessee. This week has been glorious sunshine. I love your blog. Thanks Wendy! We had tons of sunshine earlier this week — and then it snowed again yesterday! Happy “spring” to us up here in West Michigan! This sounds great! We love Sweet Baby Ray’s, but we want to cut out HFCS and other processed sugars. I love freezer cooking, and this will be a great addition. 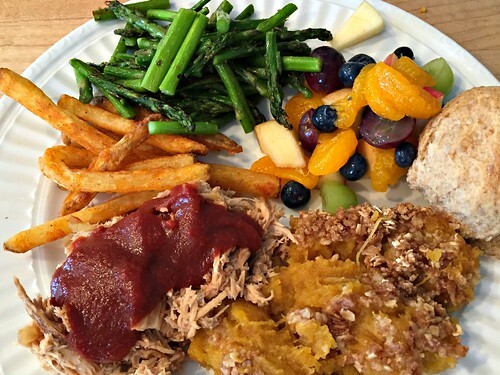 One of our favorite meals is BBQ black beans with chipotle chile powder added to the adult servings. We mix up our bowl ingredients, but our favorite is the BBQ beans with roasted sweet potatoes and broccoli with cheddar. 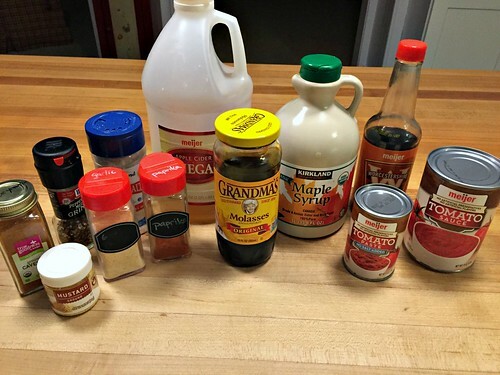 I can’t wait to try it with this sauce, and the recipe is easy enough that my 7 year old can help make it. you could probably use brown sugar — a little different flavor, but not “bad” different! I’m excited to try this. It’s hard to find BBQ sauce without high fructose corn syrup. Thank you for sharing! Newman’s Own is the only one I buy now, pricey, but very good and no HFCS.